NWBOC assists companies to avoid the greenwashing scenario that is common in the world of environmentally friendly products. NWBOC enable women in business to lead the way while enhancing women business owner opportunities. Almost 70 percent of the eight million women business owners in the USA started their companies since the year 2000. 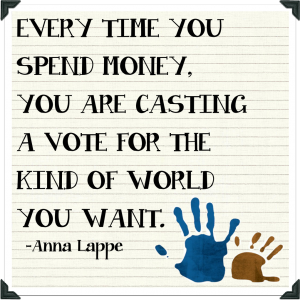 With this in mind, NWBOC was created in response to needs identified by the NAWBO Procurement Special Interest Group. A study by the group revealed that the public and private sector had not received nor recognized the benefits of contracting with women suppliers, an ever growing segment of the American economy. Additionally research demonstrated that after developing supplier partnerships with women-owned firms, many companies and government agencies have enhanced their bottom line for their shareholders, and taxpayers, respectively. As a result, in 1995 the National Association of Women Business Owners (NAWBO) created National Women Business Owners Corporation (NWBOC). Core to NWBOC, is a set of stringent review criteria which were developed and now must be documented and demonstrated (including an onsite visit) prior to achieving a successful evaluation. Following the lead of IBM, more than 700 individuals from the public and private sectors participated in establishing the minimum benchmark that must be met. 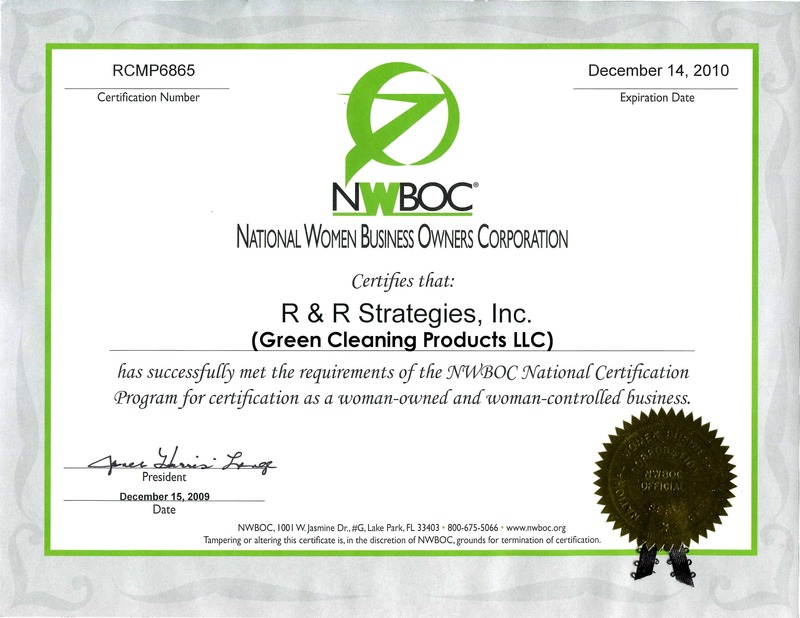 NWBOC, a 501(c)(3) nonprofit, is a national certification program available for women business enterprises and was the first such organization in the country. Consequently, NWBOC has led the way for women business owners to obtain WBE Certification. 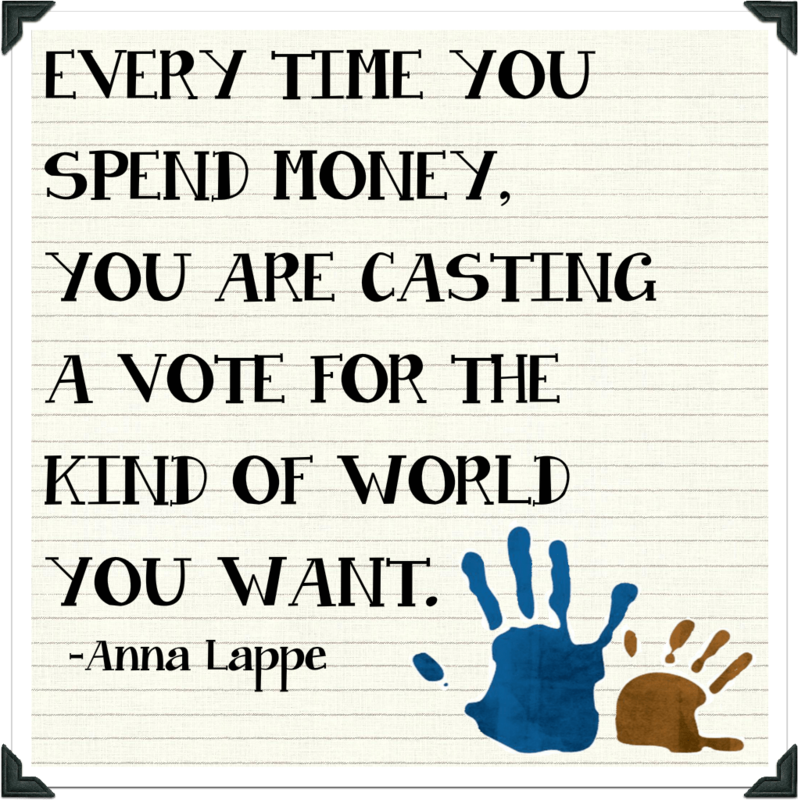 Additionally it provides a framework and certification for companies to seek when they wish to benefit society as well as their shareholders as a part of the triple bottom line. In the case of Green Cleaning Products the objective is to ensure green janitorial supplies, green cleaning products and baby safe cleaners are available for the consumers while simultaneously supporting their client’s objectives. Green Cleaning Products LLC is a leading distributor of a variety of respected brands in green cleaning products and green janitorial supplies, including the Cleans Green™ brand. Many of these products have earned third party certifications which ensure they provide a safe green clean. The company was formed in 2009 serving residential (B2C, business-to-consumer) and commercial (B2B, business-to-business) customers. Additionally this WBE certification has enabled Green Cleaning Products to develop the Cleans Green™ brand of green cleaning tools for the janitorial, commercial and homeowner clientele. For example two of the special line of cleaning tools incorporating the best available technology under the Cleans Green™ label include the Fluffy Microfiber Duster and the Cleans Green™ Disposable Microfiber Cloth available from Amazon or Green Cleaning Products LLC. Green cleaning products are very good for cleaning purposes and this company is consistently producing good products for environment friendly usage. I really like theirs and I hope everyone will help this company to develop more by purchasing their products.